As a landscape design team we are dedicated to delivering high quality professional landscape designs for all private garden, new build, and business-park planning applications; including the requirements of planning conditions and planning appeals requiring detailed or outline landscape designs for development sites in a cost effective manner with a 100% success rate. 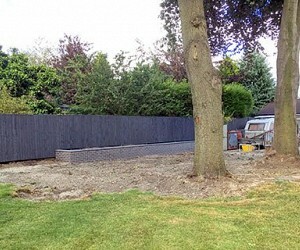 To enable the planning application to be processed as quickly, we provide detailed, well designed clear landscape design site plans and supporting landscape establishment and management information at submission stage so that; the landscape design and new tree planting is considered as an integral part of development process. Our wide-ranging professional experience enables us to analyse the proposed site layout, including the relationship between buildings, open space, vehicle, parking, pedestrian access, site surroundings, internal features, access, street scene and local amenity value. The exact location and species of all trees, hedges and other planting to be retained. All proposals for new planting detail include species, sizes, specifications, plant numbers and planting densities. An outline specification for ground preparation. All proposed hard landscape elements, planters and paving’s, including the layout, materials and colours so that the schemes appearance it is clearly defined. The proposed arrangements and specifications for initial establishment, maintenance and longer term maintenance of all planted and / or turfed areas including the site landscape aims. 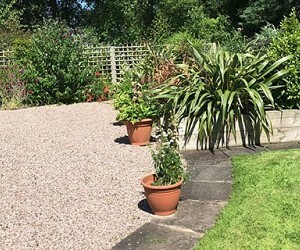 Landscape specification, including ground preparation details, mulch, grass seed or turf type, maintenance, weed control and any proposed tree surgery works to facilitate the landscape design. Urban Forestry Group has a 100% success rate in achieving successful landscape design planning approvals. Residential Side Extensions / In Fills / New Housing Layouts. Building Extensions / Conservatories / Garages & New Builds. Hospitals / Road Improvement schemes / Nature Parks. Landfill Sites / New Woodland Creation / Business Parks.